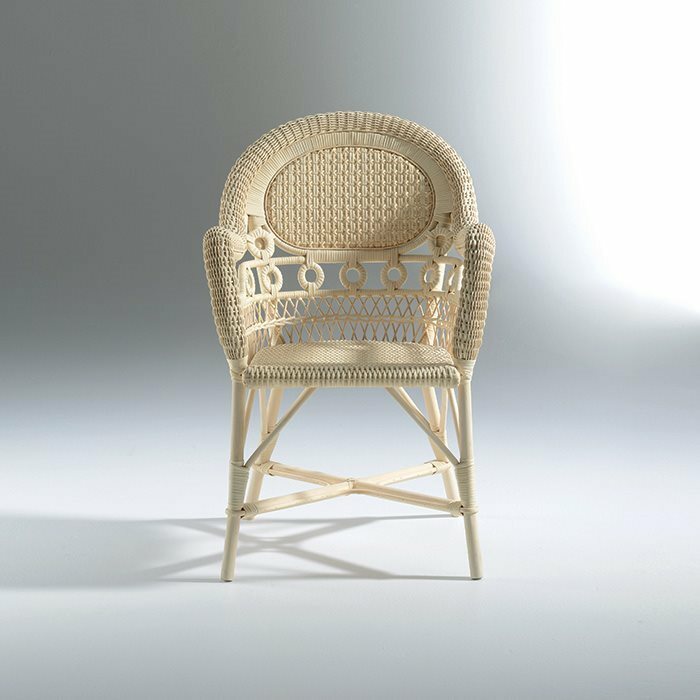 In the Decor collection a great deal of attention is devoted to the collaboration with Renzo Mongiardino, whom, in order to create some of the most sophisticated homes and palazzos of the twentieth century relied on Mario Bonacina’s capability to the magic of his projects turn into reality. Throughout the years, refining the mutual understanding and professional affection, Renzo Mongiardino and Mario Bonacina looked back into the archives for inspiration and adapted many historical designs for an international and high profile clientele of refined collectors and great entrepreneurs. 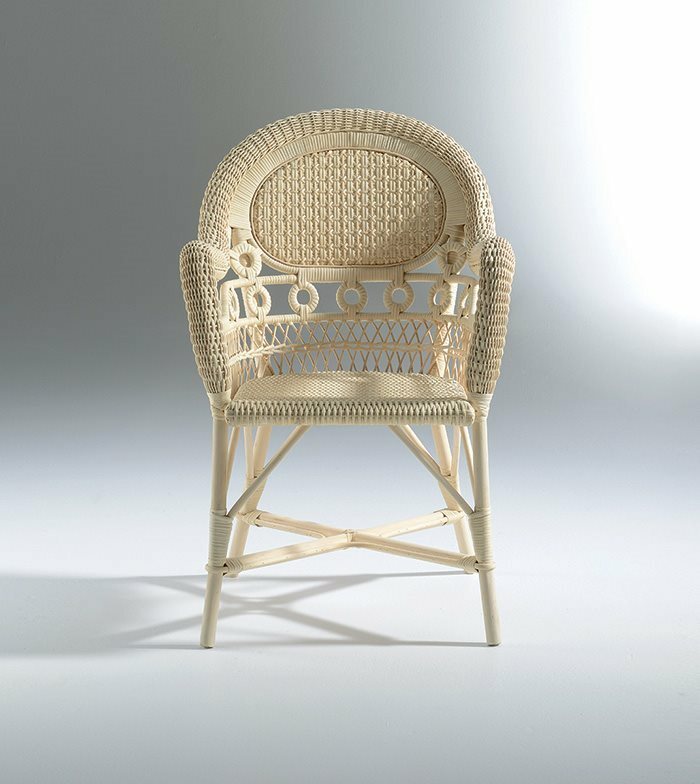 Rattan structure, rattan-core weaving, cushion in polyurethane foam. Available in all finishes on the colour card.